Imported eggs have become a real problem in the UK. Hundreds of tonnes of eggs are brought in each year from other countries – India, Albania, Thailand and Brazil. These countries routinely export dried and liquid eggs to Britain and other EU countries to be used in mass food production and catering. Some of the farms in these countries use battery cages for the production of eggs, a banned practice via EU regulation. Battery cages are a system of interlinked, small cages used to house laying hens. These cages were banned in January 2012 in the EU in order to improve the welfare and living conditions of hens. Farmers could still use cages following the ban, but were required to provide enriched cages that included nesting and scratching areas. Before humane housing was required, battery cages saw several hens jointly inhabiting spaces with fewer square inches than a sheet of A4 paper. Once this housing system was banned, the sale of eggs produced by inhumanely housed hens was supposed to be stamped out in the UK and EU. Despite the ban, some farms continue to illegally use these brutal lodgings. A welfare group has released evidence of hens in battery cages in India where eight birds inhabit the spatial equivalent of two sheets of A4 paper. This type of housing is extremely cruel as it forces animals to exist in a world devoid of movement, light or freedom; they experience naught but the smallest shadow of a life and are driven to madness. Even still, egg shipments from India reach UK soil every month. From September to November nearly 60 tonnes of dried egg powder was imported from Hyderabad and Delhi. 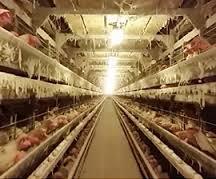 In response to imports stemming from hens in battery cages, officials, farmers and campaigners have drawn attention to unenforced welfare standards in countries that persist in using inhumane housing systems. People in Britain are asking for the origins of eggs to be specified in all products containing eggs, currently a rule that applies only to boxed eggs. The farms that these imports originate from are not held to the same standard as UK farmers. At its core, aside from the issue of animal cruelty, it is unfair to farmers who follow the rules and regulations to be undercut by imports. 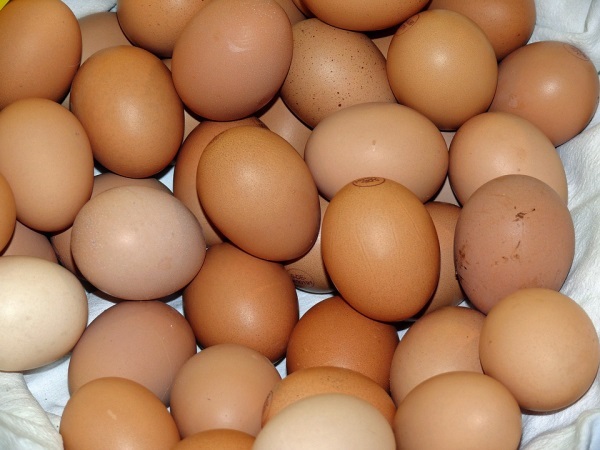 British producers have warned that receiving and using these imports can pose a danger to the public as three recent cases of salmonella poisoning are linked to pasteurised egg from outside Britain.